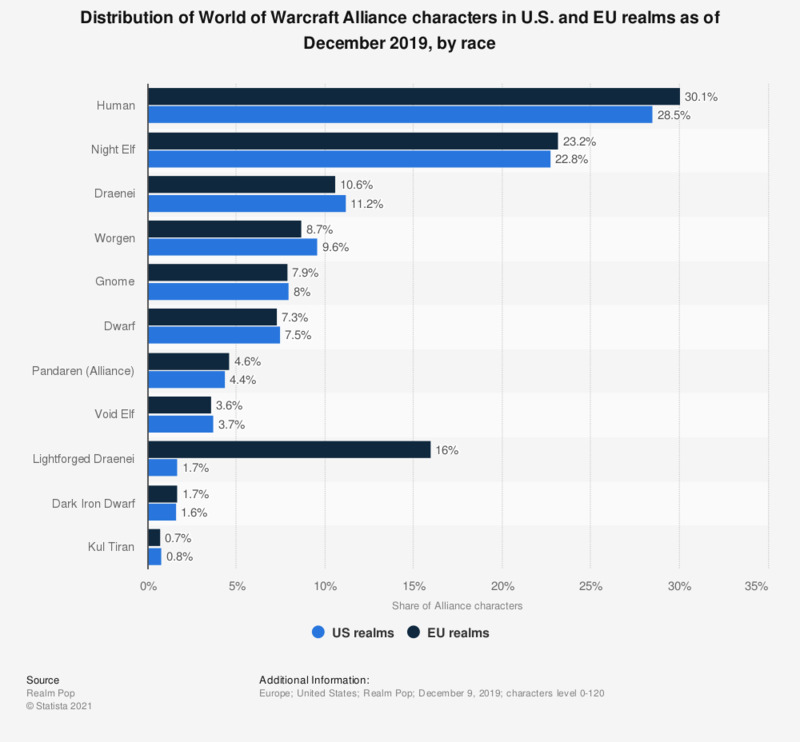 The statistic shows a distribution of the Alliance races in the online computer game World of Warcraft as of February 2019. Approximately 29.3 percent of all Alliance characters on U.S. realms were Human. In general, Human race was prevalent throughout the World of Warcraft series. For this analysis, 12.5 million characters on US realms and 11.6 million characters on EU realms were recorded. The data were collected by using Blizzard's Battle.net API. Realm Pop: "To get the list of characters for a realm, first we record all the characters who posted to the auction house. Then we fetch and record their guild rosters. This should cover the majority of characters on a realm". The figures that do not total to hundred percent are most likely due to rounding off the individual components.